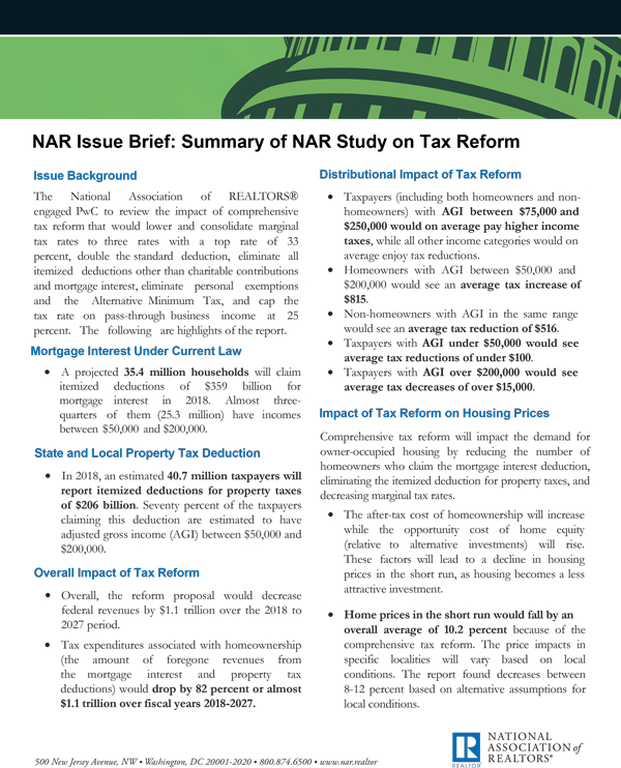 The National Association of REALTORS® (NAR) engaged PwC to review the impacts of an illustrative comprehensive tax reform option that would lower and consolidate marginal tax rates to three rates with a top rate of 33 percent, double the standard deduction, eliminate all itemized deductions other than charitable contributions and mortgage interest, eliminate the Alternative Minimum Tax, and cap the tax rate on pass-through business income at 25 percent. 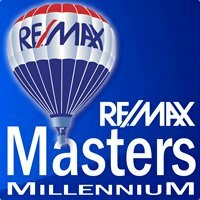 Homeowners with an adjusted gross income (AGI) between $50,000 and $200,000 would see an average annual tax increase of $815. Non-homeowners with AGI in the same range would see an average annual tax reduction of $516.